The island of Nosy Be, off the coast of Madagascar, remains the country's premier beach getaway renowned for its tranquil ambience, pristine shoreline, and year-round warm weather. On the 7th (Sun), head off the coast to Nosy Fanihy, then tour the pleasant surroundings at Ambaro Ranch, and then enjoy some diversion at Plongee Toukoul. Keep things going the next day: see some colorful creatures with a scuba or snorkeling tour, get to know the resident critters at Lemuria Land, and then take in the awesome beauty at Mont Passot. To find traveler tips, maps, where to stay, and more tourist information, read Nosy Be online driving holiday planner . San Francisco, USA to Nosy Be is an approximately 35-hour flight. The time zone changes from Pacific Standard Time to Eastern African Time, which is usually a 11 hour difference. Plan for a bit warmer temperatures traveling from San Francisco in July, with highs in Nosy Be at 85°F and lows at 67°F. Cap off your sightseeing on the 8th (Mon) early enough to travel to Antsiranana (Diego Suarez). On a trip to Antsiranana, a sleepy port town in Madagascar's northernmost province, you can enjoy the laid-back atmosphere of its streets, lined with quaint colonial-era buildings and colorful marketplaces. Start off your visit on the 9th (Tue): kick back and relax at Plage de Ramena, take your sightseeing to a higher altitude at Montagne de Francais, and then take in the pleasant sights at The three bays. Get ready for a full day of sightseeing on the 10th (Wed): hike along Les Trois Baies and then get outside with Mer D'Emeraude. Find out how to plan Antsiranana (Diego Suarez) trip without stress by asking Inspirock to help create an itinerary. Getting from Nosy Be to Antsiranana (Diego Suarez) by combination of taxi and flight takes about 1.5 hours. In July in Antsiranana (Diego Suarez), expect temperatures between 85°F during the day and 67°F at night. Wrap up your sightseeing on the 10th (Wed) early enough to travel to Berenty Private Reserve. Kick off your visit on the 11th (Thu): stroll through Berenty Private Reserve. Inspirock's itinerary builder makes planning a Berenty Private Reserve trip simple and quick. Traveling by combination of flight and taxi from Antsiranana (Diego Suarez) to Berenty Private Reserve takes 6 hours. Alternatively, you can drive. Traveling from Antsiranana (Diego Suarez) in July, you will find days in Berenty Private Reserve are little chillier (76°F), and nights are about the same (63°F). Wrap up your sightseeing by early afternoon on the 11th (Thu) to allow enough time to drive to Tolanaro. Start off your visit on the 12th (Fri): stroll through Lokaro Beach and then tour the pleasant surroundings at Nahampoana Reserve. For maps, other places to visit, reviews, and more tourist information, read Tolanaro online travel planner . Traveling by car from Berenty Private Reserve to Tolanaro takes 2 hours. Expect a daytime high around 76°F in July, and nighttime lows around 63°F. Finish your sightseeing early on the 12th (Fri) so you can travel to Antananarivo. Surrounded by verdant rice paddies, Madagascar's capital and the country's commercial and cultural hub, Antananarivo boasts a rich history and heritage, evident in its numerous historic buildings, colonial-era neighborhoods, and archaeological museums. Kick off your visit on the 13th (Sat): indulge in some personalized pampering at some of the best spas, view the masterpieces at Is´art Galerie, stop by Lisy Art Gallery, then examine the collection at Musee de la Photographie de Madagascar, then pause for some serene contemplation at Cathedrale Catholique d Andohalo, and finally make a trip to Maison de Jean Laborde. Here are some ideas for day two: make a trip to Gare de Soarano, browse the eclectic array of goods at Antananarivo Flower Market, then take in the spiritual surroundings of Mosquee Sunni, then take a stroll through Andohalo, and finally take in the spiritual surroundings of Ambohimanga. For more things to do, where to stay, ratings, and tourist information, use the Antananarivo online road trip planner . You can fly from Tolanaro to Antananarivo in 2.5 hours. Another option is to drive. In July, Antananarivo is little chillier than Tolanaro - with highs of 69°F and lows of 49°F. Finish your sightseeing early on the 14th (Sun) to allow enough time to drive to Moramanga. Moramanga is a city in Madagascar.Between the capital city Antananarivo and the east coast. 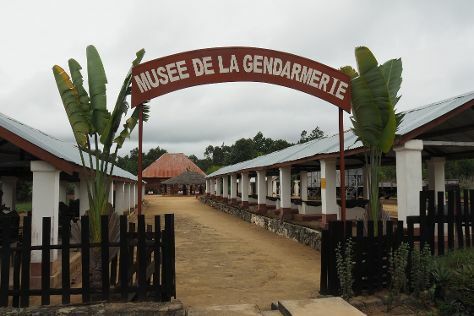 Kick off your visit on the 15th (Mon): see the interesting displays at Musee de la Gendarmerie. For traveler tips, maps, photos, and tourist information, use the Moramanga trip planning website . Drive from Antananarivo to Moramanga in 2 hours. Alternatively, you can do a combination of bus, shuttle, and train. In July in Moramanga, expect temperatures between 69°F during the day and 49°F at night. Wrap up your sightseeing on the 15th (Mon) early enough to drive to Andasibe. 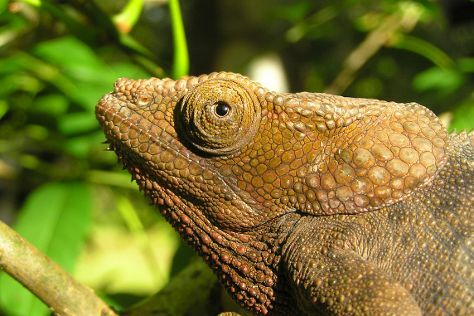 When you take a trip to Andasibe, you'll discover a protected rainforest in eastern Madagascar. Discover out-of-the-way places like Analamazaotra Special Reserve and V.O.I.M.M.A. Community Reserve. Spend the 18th (Thu) exploring nature at Andasibe-Mantadia National Park (Reserve of Perinet). 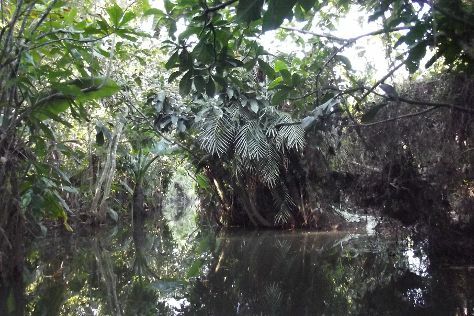 The adventure continues: stroll through The Mitsinjo Reserve. To find traveler tips, ratings, where to stay, and more tourist information, read Andasibe trip planner . Getting from Moramanga to Andasibe by car takes about 1.5 hours. Other options: do a combination of train and taxi. Finish your sightseeing early on the 18th (Thu) so you can travel back home.